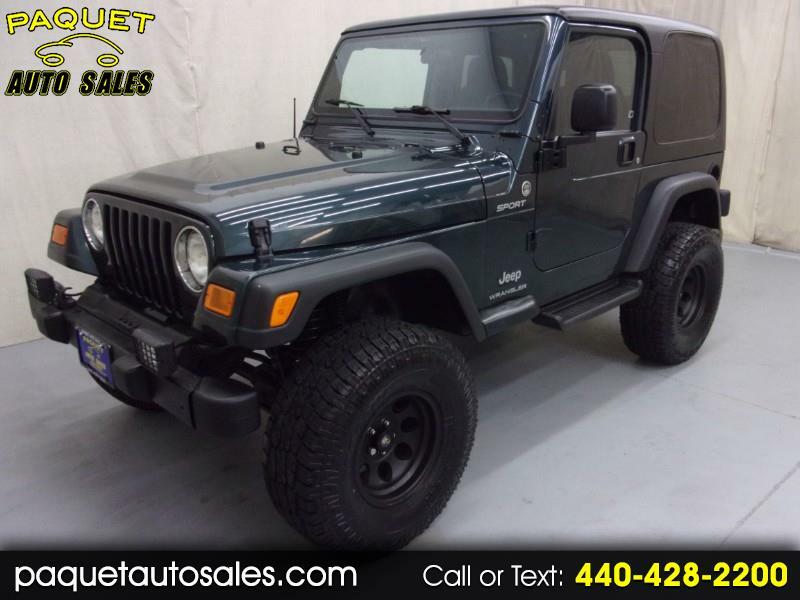 6-SPEED MANUAL TRANSMISSION---LIFTED---TRAIL RATED FOUR WHEEL DRIVE---BLACK HARDTOP---CLEAN CARFAX REPORT---4.0 LITER V6 ENGINE---ONLY 79,000 MILES--- 2006 JEEP WRANGLER SPORT in a green metallic exterior finish with 15" PRO Comp black wheels, aggressive tires, tinted rear windows, black metal bumpers, fog lamps, rear and side glass windows, black metal door handles, black folding exterior mirrors, front and rear tow hooks, black fender flares and running boards, Trail Rated fender badge, rear mounted full-size matching spare tire, pop up rear window with wiper. Inside you will find a black cloth interior featuring air conditioning, front bucket seats, center storage console, beverage holder, CD player, tachometer, tilt steering wheel, manual windows, door locks and exterior mirrors, interior light and speaker bar, folding removable rear bench seat. Fully inspected by our service technician. Detailed inside and out and ready for delivery. Stop in or call today and speak with one of our friendly sales staff with any questions that you may have.